The most elegant and classic SUV. You want to host an event in style. You want to deliver flash without seeming flashy. And, you want to create a memorable experience for every element of your affair. This includes arranging a suitably impressive and elegant vehicle to convey you and your companions about town. 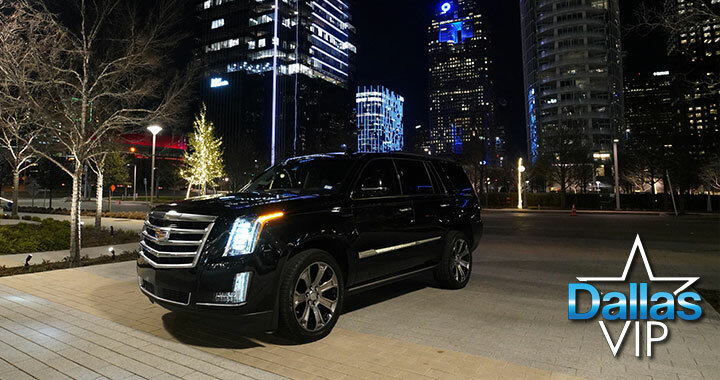 At the same time, you think that a traditional Cadillac Escalade is little more than the go-to vehicle of prom-destined teens and loutish bachelor parties. You want something with more presence – something just a little bit more effortlessly cool. 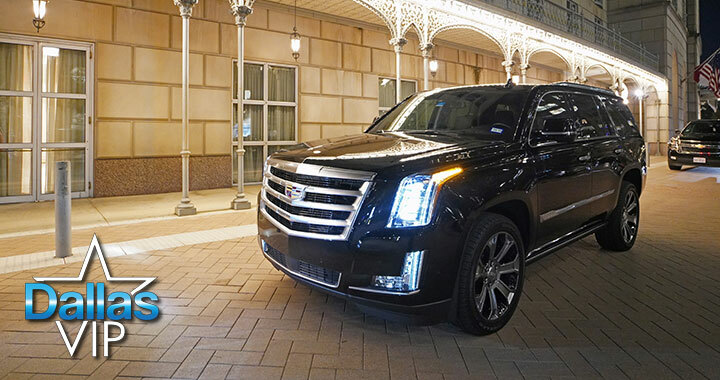 Dallas VIP has the answer: the Cadillac Escalade. 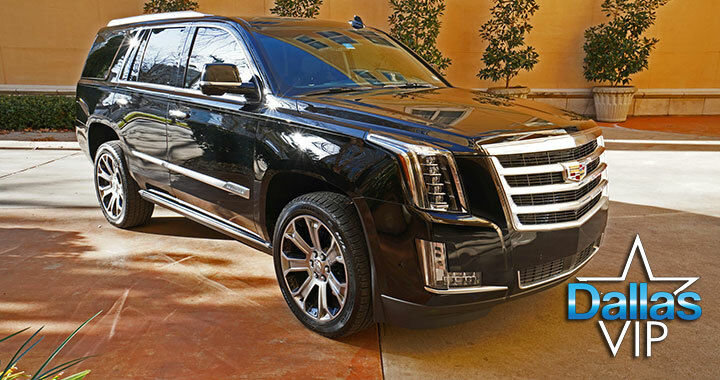 The Cadillac Escalade is the ultimate luxury SUV. It can be the perfect vehicle for you and your party. 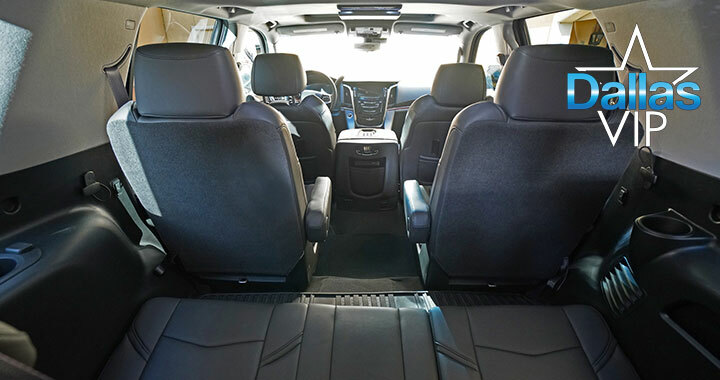 Your chief concern when renting a vehicle for a VIP event is that it has a suitably imposing exterior coupled with a luxe interior. 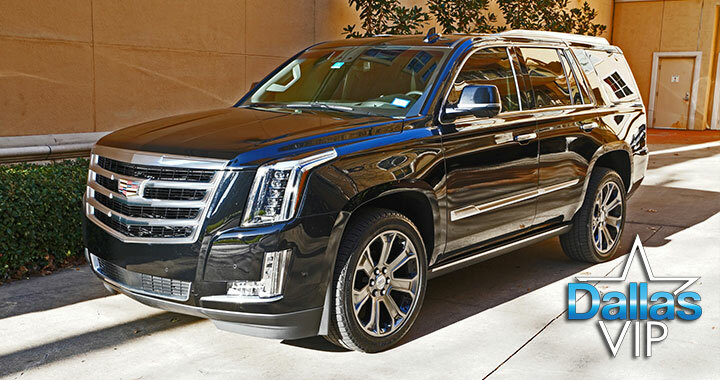 The Cadillac Escalade hits the mark on both fronts. 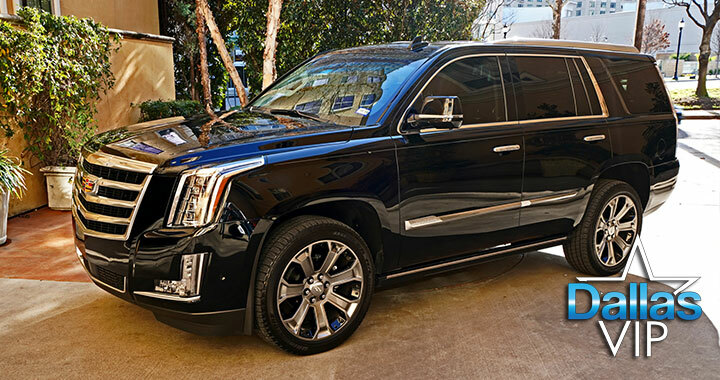 The Escalade has the impressive and sophisticated exterior you would expect from a Cadillac, and its sleek, leather-trimmed interior is sure to impress. 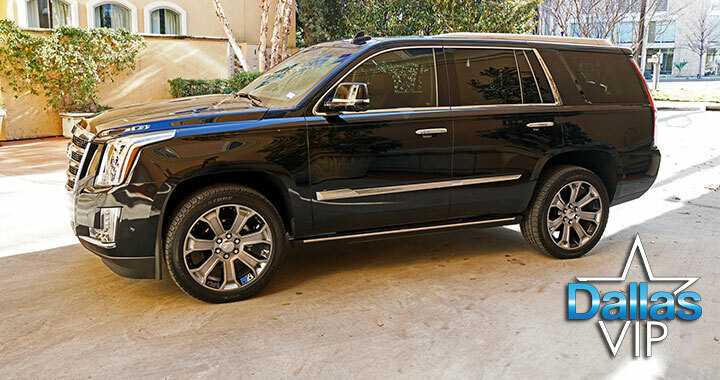 Appointed with brushed aluminum accents, polished chrome surfaces, power-adjustable front seats, and a 10-speaker Bose® 5.1 surround sound system, the Cadillac Escalade represents the pinnacle of style. 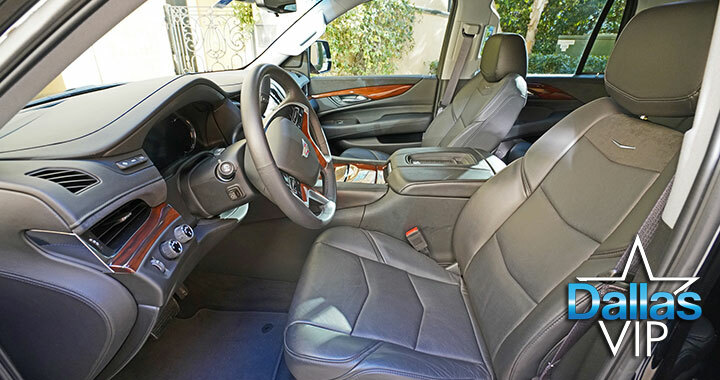 The Escalade can easily seat up to eight adults and promises a comfortable ride. Its Magnetic Ride Control used advanced technology to adjust to whatever road conditions you may encounter. Regardless of the weather, you and your guests will experience a smooth and safe journey. 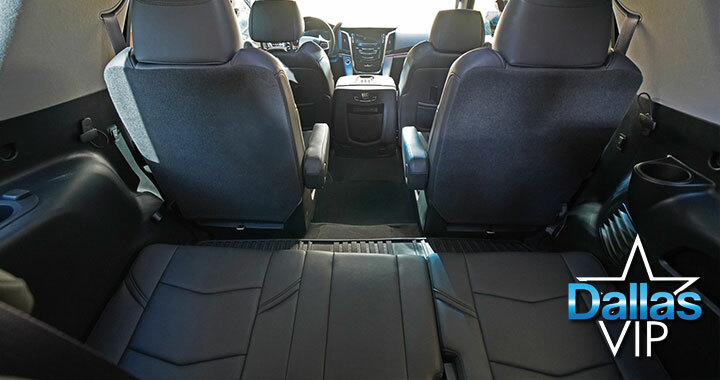 At Dallas VIP, we know that details matter, and that includes selecting a vehicle that demonstrates a high level of sophistication and polish. You don’t just want to make a good impression, you want to make a statement, and to ensure that your guests to see the Metroplex in style. 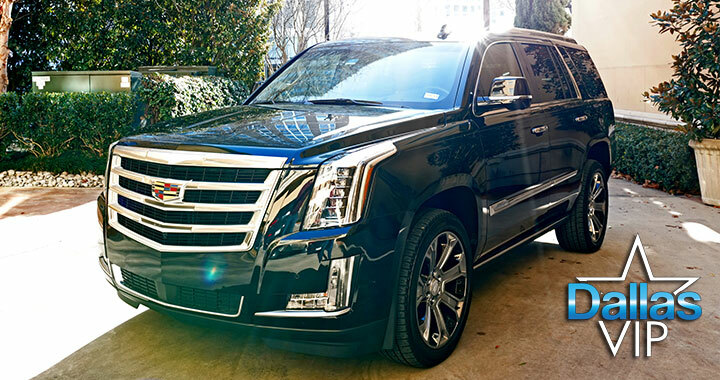 That’s why we say, with confidence, that the Cadillac Escalade is the ideal vehicle for your event. 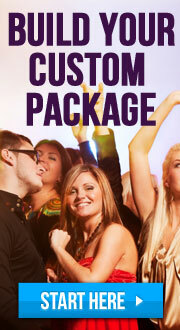 If you are planning an event, give Dallas VIP a call at 855-7DALLAS. Your chariot awaits. Rode a Cadillac Escalade? Share your experience with others!